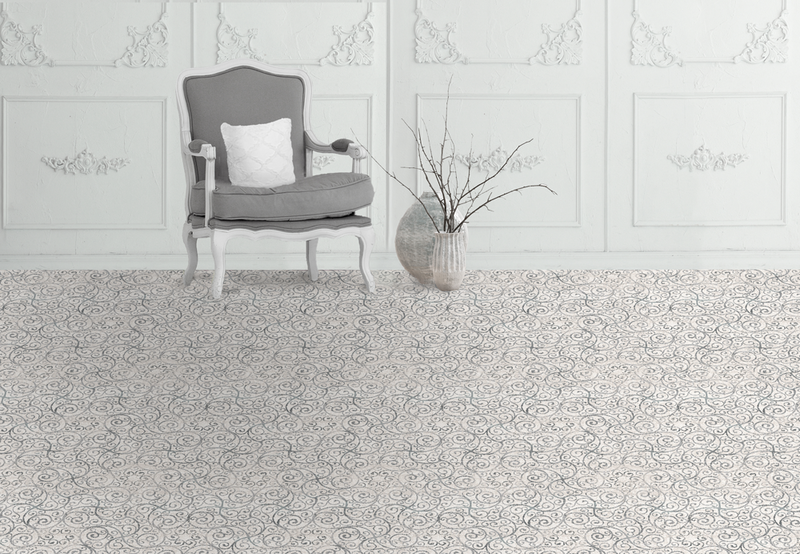 Recently, Stanton Carpet has added new beautiful carpets to their product line. Carpet Express now has those products listed online. 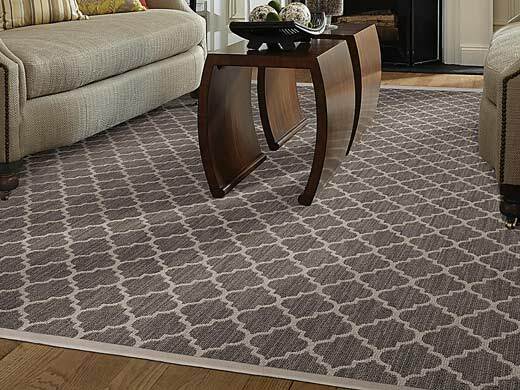 Stanton Carpet is a predominantly wool product line featuring high quality, designer driven patterns and styles, which are available through select flooring dealers throughout the country. Stanton produces a number of high-quality, specialty collections, which include the Royal Sovereign, the Savoy collection, the semi-worsted New Zealand wool, face to face cut pile broadloom, and runners. Check out the new Stanton Carpet products! Godfrey Hirst, which has been in business since 1865, was one of the first textile mills in Australia. The company has continued to grow and has production plants and facilities around the world. The commercial and residential products from this company offer high quality and performance to customers. 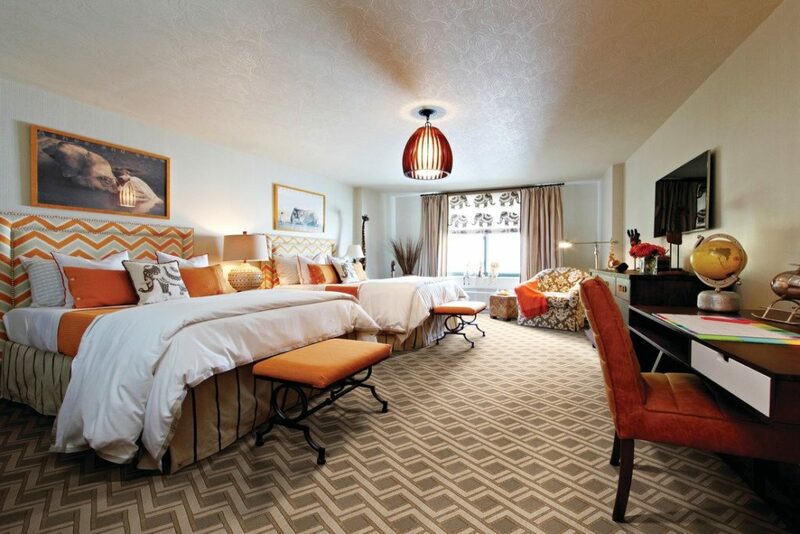 The company specializes in the production of wool broadloom products for North America. There are different berber carpets, patterned carpets, and sisal carpets to choose from in the residential product collection. Godfrey Hirst uses state-of-the-art facilities and technologies to manufacture their products. 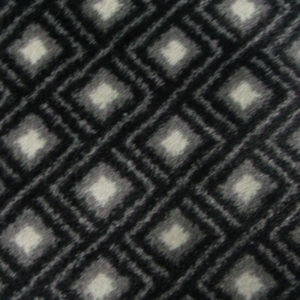 The company utilizes continuous dyeing, high resolution printing, woolen yarn spinning, synthetic yarn extrusion and twisting, tufting equipment and finish lines at plants in Australia and New Zealand. 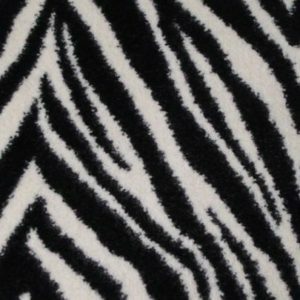 These state-of-the-art technologies allows the company to produce high quality wool, nylon, polypropylene, triexta, and blended carpets. The company commits to environmentally sustainable manufacturing and has become an Austrlian multi-award winner. Explore our collection of Godfrey Hirst carpets. 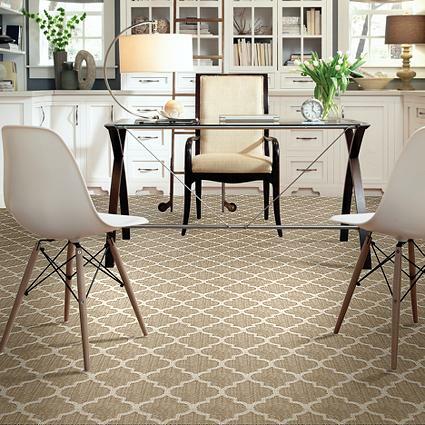 Milliken Carpet has many great patterned and printed carpets to choose from for your home or office. The patterns range from geometric, floral, abstract, whimsical, and many more. 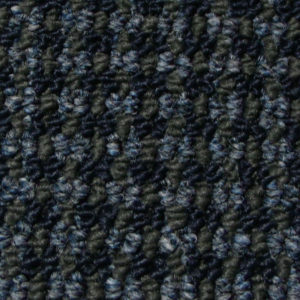 Milliken carpet patterns are unique and the carpets are made of Stainmaster nylon. 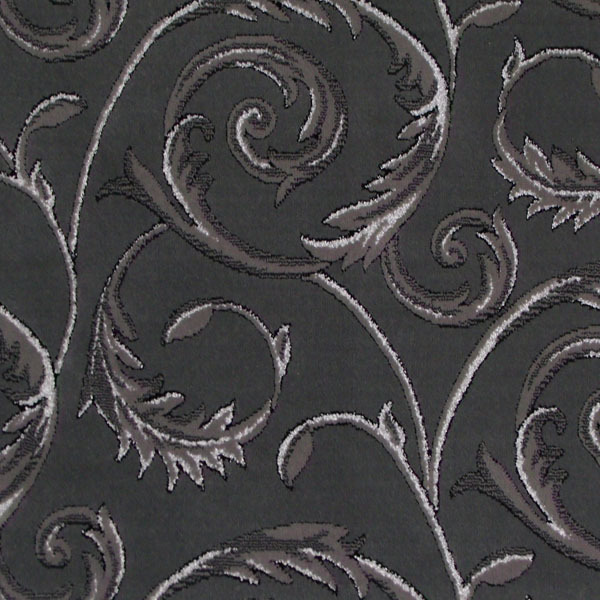 Click here to our collection of Milliken carpet. Tuftex Carpet creates beautiful carpets of all styles and designs. Recently their carpet Casablanca was used in the living room of the main house used in the television show Scream Queens. Scream Queens is a show focused on a string of murders that occur on a college campus at a popular sorority house. 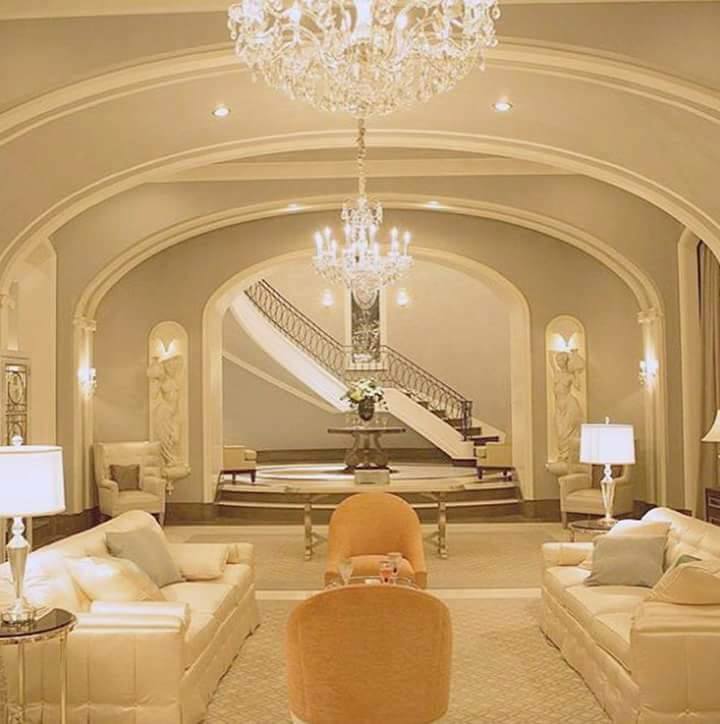 Casablanca fits in very well with the elegant design theme of the sorority house. 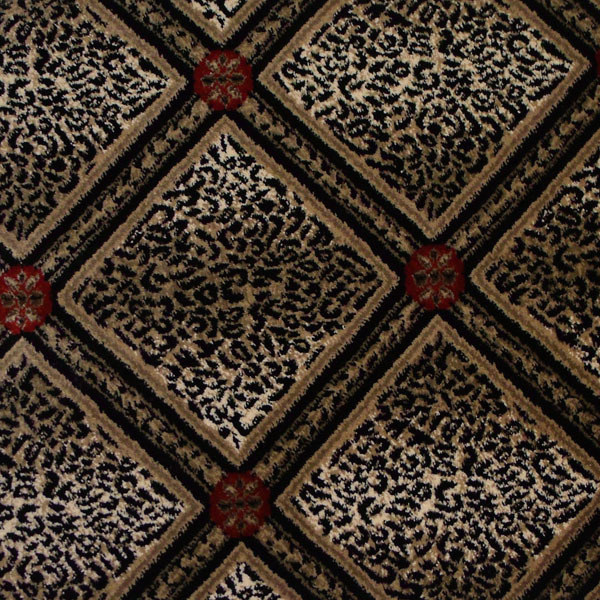 If you enjoyed seeing this carpet in the show, well now you can have this carpet in your own home. 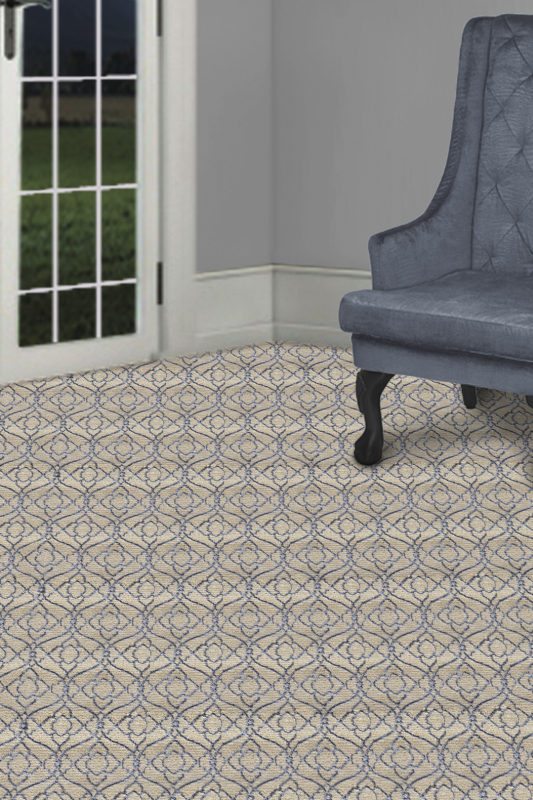 Click here to see Casablanca from Tuftex. 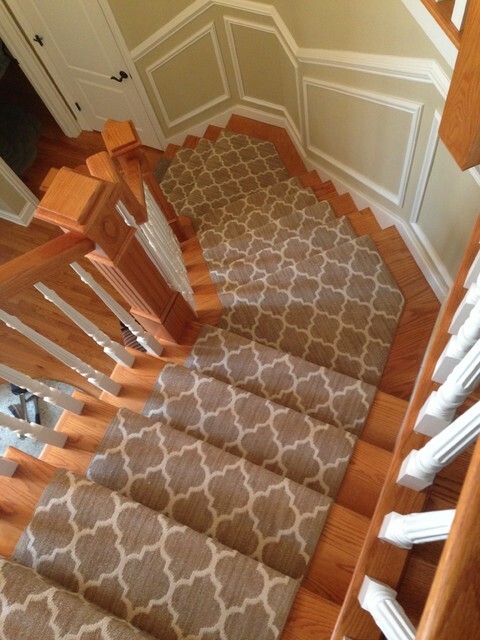 Click here to see our other Tuftex carpets. Lexmark is known for their high-styled and high quality hospitality carpet. 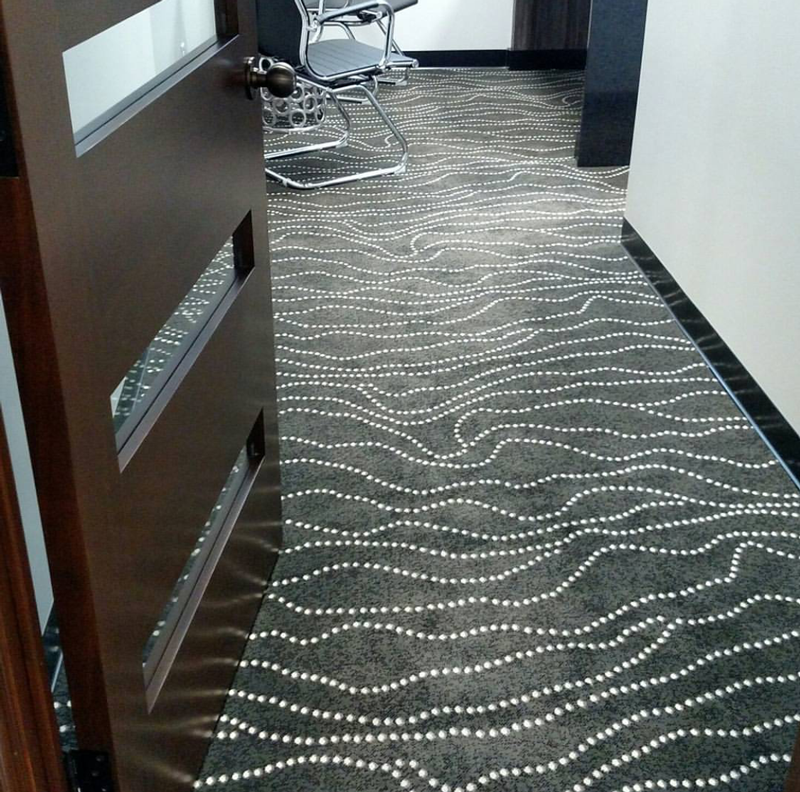 Since 1993, Lexmark has manufactured gorgeous carpet designed especially for hotel halls/ corridors, guest rooms, public spaces, and conference rooms. 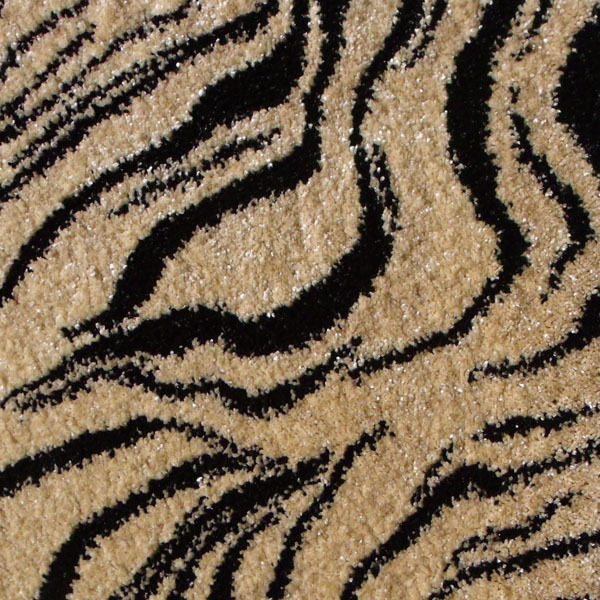 They can also create custom carpets for customers as well. 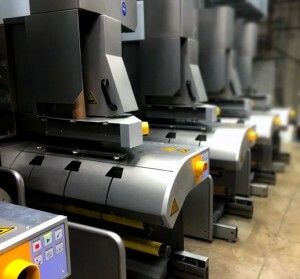 Recently, we had the pleasure of going on a tour of the Lexmark manufacturing facility lead by industry veteran and friend of Carpet Express, Mr. Carl Whaley. Lexmark is truly an amazing operation. 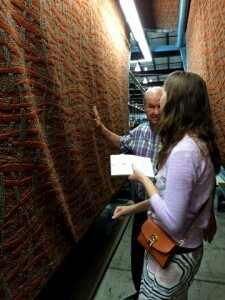 A lot of carpet mills create the yarn in one place, and tuft it and back it in another. However, at Lexmark, raw materials go in one door and finished carpet comes out the other. 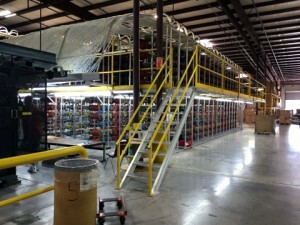 This is a seamless state-of-the-art manufacturing operation. First we were shown the pellets of nylon before they are “extruded” into nylon strands. 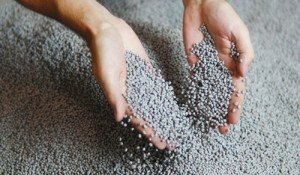 Nylon pellets for solution dyed carpet. Rows and rows of high-tech machines whir noisily as they precision melt or “extrude” these small pellets into hair-thin strands. Since most of Lexmark’s product line is solution dyed nylon, most of the dye process is actually in this first step. In other words, these tiny strands are pure color all the way through. 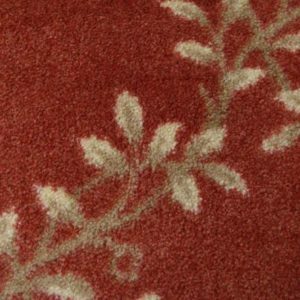 This will help with stain and fade resistance when these carpets find their final homes in hotels, casinos, or even main street commercial applications. After the pellets are extruded into hair-thin strands of fiber, the strands are then tightly wound around each other and twisted into a tough yarn. The twisted yarn then goes through the process of “heat-setting.” Heat-setting the yarn literally sets the twist and keeps the yarn from unraveling. Those wound strands of yarn are then wound around other strands for added stability and also to create “barber poles”, multi-color strands and other unique looks. After this process the yarn is then spooled and inventoried. It takes a highly organized and perfectly automated system to keep all these departments working together. 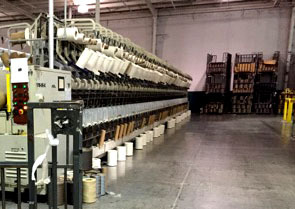 Loading Racks on Creel Machines hold thousands of spools that feed into the tufting needles. 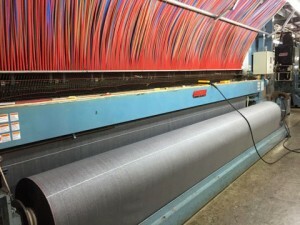 A few of their styles are made on beam machines, but most of the carpet collections are made with huge creel machines. These monstrous krill machines are automated by computers, which determine exactly how the patterns will be made in the carpet. These machines are both impressive and imposing! The spools of yarn are strategically placed on the back of the machines and feed into thousands of needles that buzz out precise and ornate patterns. 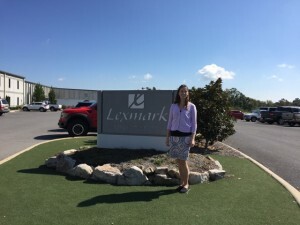 Lexmark has always been a name associated with quality, and we saw first-hand the teams of trained krill operators inspecting each square inch of carpet as it steadily flowed out of the tufting machines. Mr. Whaley explaining the inspection process. Tufting technology has advanced dramatically over the years, and I couldn’t help but think of Catherine Evans Whitener and what she would say if she could see how far we’ve come. Catherine was a pioneer of the carpet industry who mastered the tufting method over a century ago for hand-made bedspreads. Learn more about her contribution to Dalton history here. From there, the carpet will go through the backing process. A layer of action bac or unitary/urethane backing is poured, spread, and cooked onto the back of the carpet. This backing locks in the tufts of the yarn and creates dimensional stability. There are other coating processes after that that help everything from reducing static to added stain repellents. Lexmark has been making commercial and hospitality carpet since 1993, but in the last four years has created a line residential carpet. Their residential carpets are just great. If one lives in Dalton and also works in flooring (which is a pretty good chance), one can get a little tired of seeing the same old styles over and over again. We were immediately impressed by their striking patterns and colors. They’ve applied their meticulous process for making commercial grade carpet into making their residential collection. They even use the same twist level in their residential carpet. We really can’t say enough about how impressed we were and how much we enjoyed the mill tour. Special thanks to Carl Whaley for his insight, hospitality (pun intended), and lunch! 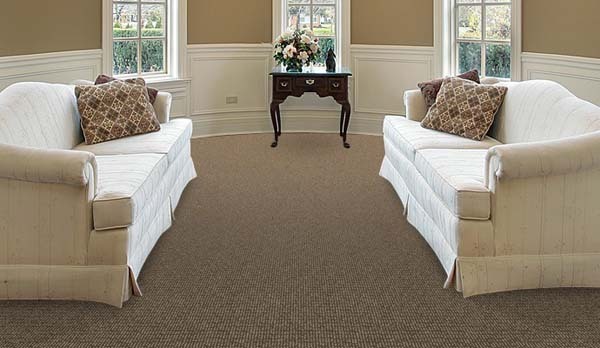 Click here to see Lexmark carpet.